Through support to indigenous people, the LWF reaffirms its commitment to stand in solidarity and support excluded indigenous communities who suffer injustice. 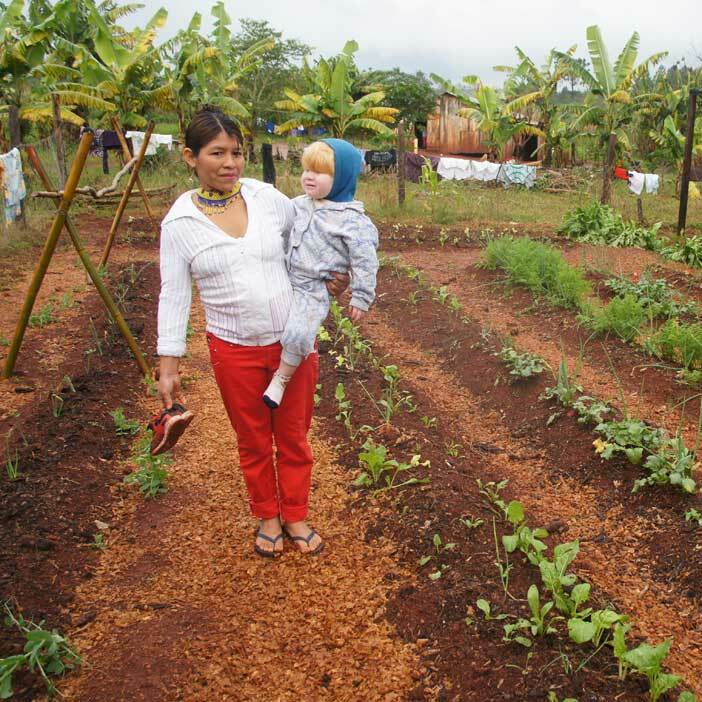 In this project, people promote food production skills, education, health and clean water. The project has addressed issues of deforestation that affect the Mbya Guarani indigenous people who inhabit the sub-tropical rainforests of Argentina’s northeastern province of Misiones. It has promoted regular sharing of knowledge among the Maya communities in Argentina and Paraguay. This has led people to recognize and affirm their roots and traditions. They can reinforce leadership capacity and knowledge of agricultural practices, healthcare, disease prevention and organizational capacity. Through this project the LWF supports the United Lutheran Evangelical Church in Argentina to strengthen their existing ministries and work at local, regional and synod level. The project aims at having stronger church with well-trained pastors and lay leaders to better develop God`s mission in their context. The new project phase focuses especially on the work with the church youth movement to address issues such as trafficking, femicide, stigmatization and criminality. Since 2014, the Evangelical Church of the Rio de la Plata (IERP) has run a project as part of its ministry and liberation theology to sensitize its members on the issues of HIV and AIDS. In 2017 the church decided to take one step forward by moving from awareness raising to diaconal action to build a wider thematic agenda with emphasis on gender base discrimination, sexual health, social violence, rights of children and addictions and disability. The project plans to organize several devotional-workshops to motivate, reflect, and encourage Christian commitment to engage in diakonia. Through this project the LWF is supporting the church also to fight against prejudice, myths and discrimination. This project addresses the issue of church sustainability. The aim is to help the church move toward more deliberate and proactive strengthening of its planning and accountability mechanisms. The LWF supports the church as it organises trainings for its key people on good governance, project monitoring and evaluation. The church is also supported in strengthening its youth and women’s ministry at congregational, district and national levels in order that women and young people are better represented in church bodies. 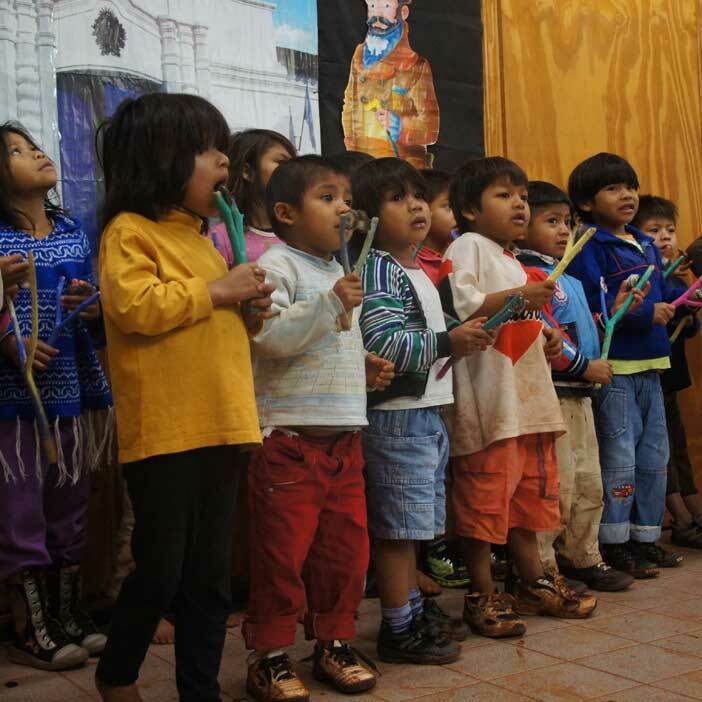 In recent years the Bolivian Evangelical Lutheran Church experienced a crisis leading to a gradual decrease of its membership and a weakening of its identity. At the same time, it faced the rise of new Pentecostal movements in Bolivian society, especially in rural areas. The crisis of theological and pastoral identity represents a major constraint for the mission of the church, which must be urgently addressed. With the support of LWF, this project aims to present an enhanced articulation of the Lutheran identity from the Bolivian perspective. During this three year project, the church will organise regional trainings on Lutheran Reformation and publish new liturgies. The Lutheran Foundation of Diaconia is the diaconal arm of the Evangelical Church of the Lutheran Confession in Brazil. Through this LWF-funded project, the LWF has connected 60 social organizations under the umbrella of a diakonia network and provided them with visibility, capacity building and networking skills. The FLD has enabled its members to become stronger and better resourced. Its members have collectively been able to reach more people, particularly women and youth, than they would have done alone. The mission work of the Lutheran Church of Colombia is experiencing a time of difficulty. National economic crisis has affected church ministries and caused instability in the congregations causing churches to accumulate debt and compromising the salary payments of pastors. As a result many church ministries, such as evangelism, women and youth are coordinated by volunteers with minimal resources. These difficulties have generated a lack of credibility in relation to other churches in the country. With the support of the LWF, this project aims to deliver strategies to strengthen the six national ministries (evangelism, pastoral, women, youth, education and diakonia) by training new leaders, consolidating project management processes, organising workshops and meetings for leaders locally, regionally and nationally. The project also aims to empower the church to contribute to national peace and reconciliation processes. Costa Rica covers only 0.1% of the world surface but the country is home to 2.5% of all global biodiversity. This makes this country particularly prone to the effects of climate change. Floods and drought have deregulated agricultural cycles and food production and affected communities both on an economic and social level. With the support of the LWF, the Lutheran Costa Rican Church has contributed to the national effort to reach carbon neutrality by 2021. The project has supported building awareness on the effects of climate change, strengthened environmental advocacy networks to have an impact on national politics, and promoted good environmental practices and sustainable alternatives. A low carbon management model of the central offices of the church was designed. The staff have become environmentally conscious. The church has promoted good use of natural resources and supported alternative farming models based on waste management, recycling, soil renewal, organic gardening and sustainable use of water and energy. Thanks to this project, 90 leaders of six congregations are now better equipped to deal with the threat of climate change. El Salvador is ranked one of the most violent countries in the world with 10 to 12 homicides each day. The Salvadoran population lives with the daily threat of pain and death, in which many are forced to take their few belongings and look for a "safer" place, increasing already high rates of internal displacement. Widespread social violence brings about other side effects, such as domestic violence. With this project, the LWF supports the church in re-establishing a culture of peace within Salvadoran society, working in particular with young people. The project aims to prevent youth violence by offering vocational and technical training for at-risk youth. It will also launch programs promoting peace, human rights and sexual education to prevent early pregnancies. The Christian Lutheran Church of Honduras is a young church. Set up in 1983, it develop its presence among the poorest parts of Honduras, the second poorest country of the Americas with one of the highest homicide rates in the world. Honduran society faces daily challenges from violence, structural poverty, exclusion, environmental risk and gender injustice. In this context, church ministers need to be equipped and accompanied to fulfil their service and promote a culture of peace. This project aims to strengthen the capacity of lay leadership for proclamation and administration of the Word and the Sacraments and improve organization of pastoral teams and leaders in the church’s 12 faith communities. Mexico is a country with high rate of violence against and exclusion of women. Almost half of all women have been victims of violence. This new project supports the Mexican Lutheran Church in addressing the issue of gender inequality and lack of participation of women in the life of the church. The project aims to bring about a change of attitude in every day relations of people towards a more gender-just society. This is done by developing and distributing educational material from a biblical perspective in church institutions and by organising meetings and exchange visits among congregations. The Nicaraguan Lutheran Church of Faith and Hope is a young church whose holistic mission has already delivered results. However, more work is to be done to empower pastors and lay leaders to engage in continuous reflection with the intention of deepening Lutheran theology in faith communities and in Nicaraguan life. This project aims to maintain and further strengthen this integral mission approach, consolidate and refine actions and acquire capacity. Women’s empowerment and participation in church decision-making and leadership is promoted. This project responds to conflict and division in the church. In response to these challenges, the church is seeking strategies that will enable it to create healthier relationships among its people. Tackling the problem requires analysis of the situation. This project aims to promote a culture of dialogue in order to prevent future divisions within the community,foster an environment based on respect and gender equality for ecclesiastical activities; and establish alliances with institutions to strengthen platforms. The project will organise a series of meetings, workshops, trainings and retreats as well as establish procedures to promote healing and prevent or manage future conflicts. Venezuela is in the midst of an unprecedented economic and political crisis marked by severe shortages of food and medicine, soaring crime rates and an increasingly authoritarian executive. The crisis has influenced the ecclesial work of the church. Lack of resources hinders the ability of local leadership to follow the vision of a unified national church. It impacts the motivation of the pastoral team, which is struggling for survival as wages are very low. The project supports the church administration, as well as the work of four specific congregations to strengthen the ministerial vocation within the church. This is done through trainings and leadership development, continued education and support to improve the communication channels and accompaniment to the congregations.